For me, popsicles spell summer. I always have a stash freezing in my freezer ready to be handed out as summery treats. 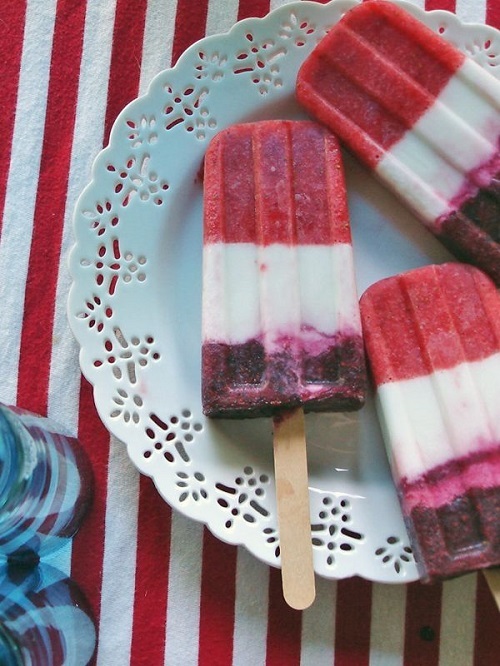 This Fourth of July recipe is a colorful, patriotic take on popsicles. It is a great way to use up the summer berries and are healthy too. Thanks Martha Stewart Living for this festive recipe. This Fourth of July recipe will double the fun! 1. In a blender, combine strawberries, sugar, and 1 1/2 tablespoons lime juice. Puree, scraping down sides as needed. Pour through a fine-mesh sieve into a bowl, pressing on solids; discard solids. Divide puree among six 4-ounce or eight 3-ounce ice-pop molds. Freeze until firm, about 30 minutes. 3. In clean blender, puree blueberries, remaining 2 tablespoons sugar, and remaining 1 1/2 tablespoons lime juice. Pour through clean sieve into a bowl, pressing on solids; discard solids. Remove molds from freezer and top with blueberry puree. Freeze until solid, 6 hours more (or up to 1 week). 4. Just before serving, briefly run molds under hot water to release pops. 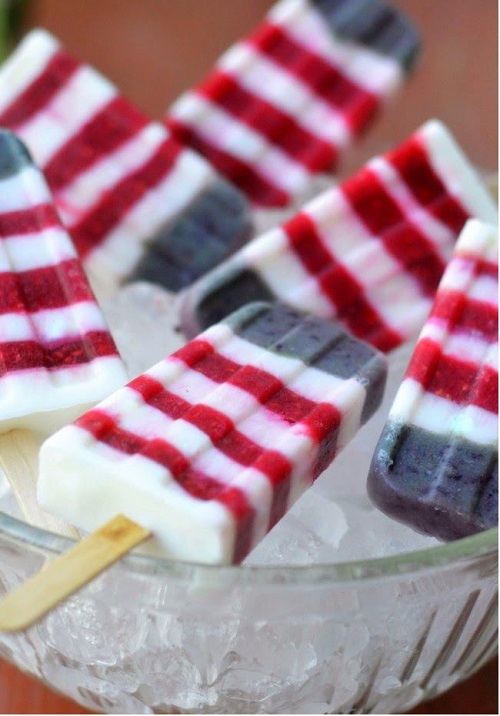 Enjoy this patriotic Fourth of July recipe with kids and adults alike.